To reduce the number of accidents and injuries, employers must ensure that all workers are trained in basic workplace safety. 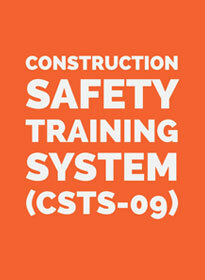 Construction Safety Training System (CSTS-09) is a computer-based worker-specific safety program that is acknowledged industry wide. Self-paced and user-friendly, the course is designed for those who are new to the industry or have not had formal safety training. CSTS-09 is available 24/7 and should take approximately 6 hours (including 4.5 hours of video). Upon successful completion, a certificate will be issued. Certification is valid across Canada and does not expire. The program is broken down into 15 separate modules that explore various aspects of a construction jobsite with an emphasis on being aware of common hazards and how to avoid them. Students move through the modules at their own pace, testing their knowledge of the content through interactive “question and answer” scenarios. What do I need to take the course online?